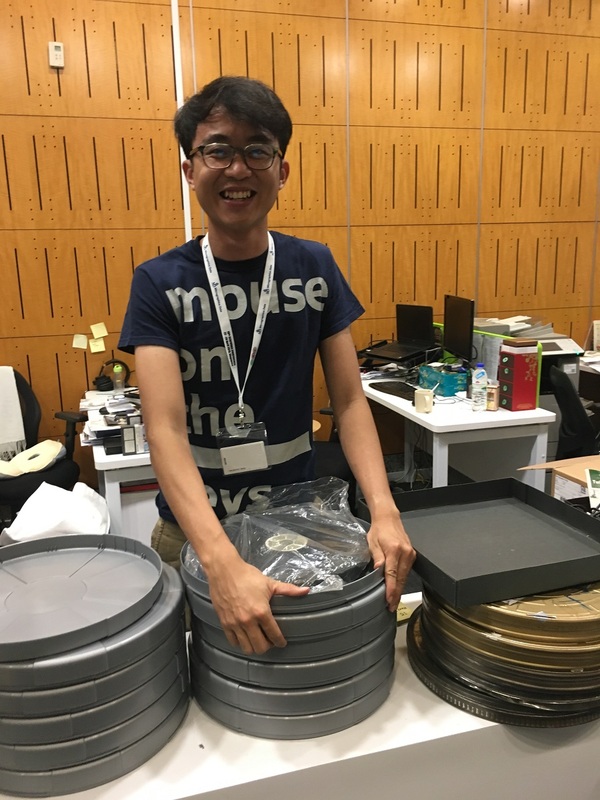 I find it hard to dispute the claim that being a film archivist is one of the coolest jobs anyone can have. Other than film programmers, academics, critics, distributors and censors, no one else can similarly swank about watching films for a living. Fortunately for me, my 5-month internship at the Asian Film Archive gave me a taste of that, where I had the incredible fortune to indulge in the many overlooked wonders of Asian cinema. Many of the films I had access to are not readily available. I had the pleasure of feasting my eyes on Singapore’s first and only kungfu film, Ring of Fury (1973) and the early works of Singapore cinema’s current poster girl, Kirsten Tan. Discoveries were made along the way as I navigated through the alternate history of Asian cinema, particularly Singapore’s. A notable uncovering was the existence of Arthur Smith’s Medium Rare (1992). Loosely based on the infamous Toa Payoh ritual killings during the 1980s, the film has been considered lost by historians and academics. However, there is a twist to that tale. There is still a copy of the film in the archive. I watched the film on VHS in exchange for a written synopsis. A more than fair deal, I must say. More importantly, I am heartened that the film is safe from the cruelties of our island’s climate and its box office ratings, safeguarded for the viewing pleasure of future generations, thanks to the unique purpose of the archive. If that wasn’t giddy-making enough, I also had the tremendous opportunity to work with the collection itself. 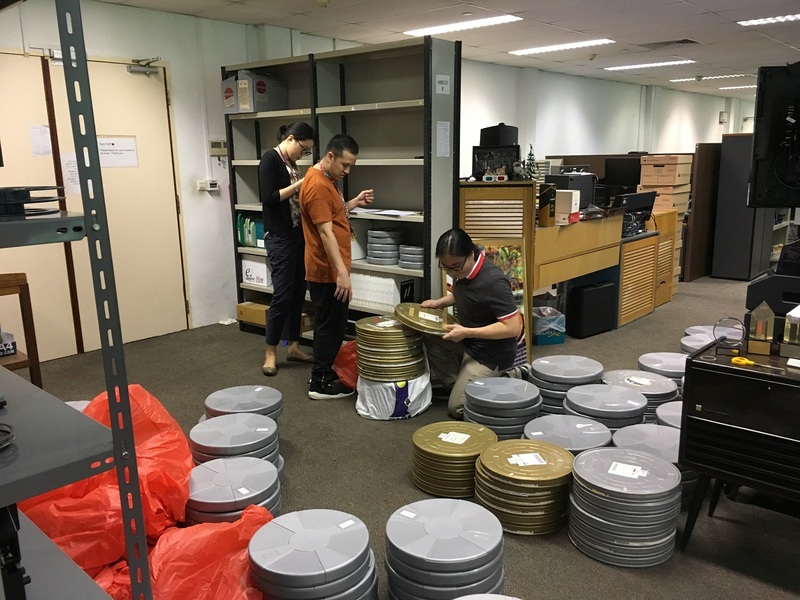 My delegations were ever-evolving where I divided my time across various aspects of archival work, namely, cataloguing, general film cleaning and maintenance, making deposits at the film vault located at the National Archives of Singapore. 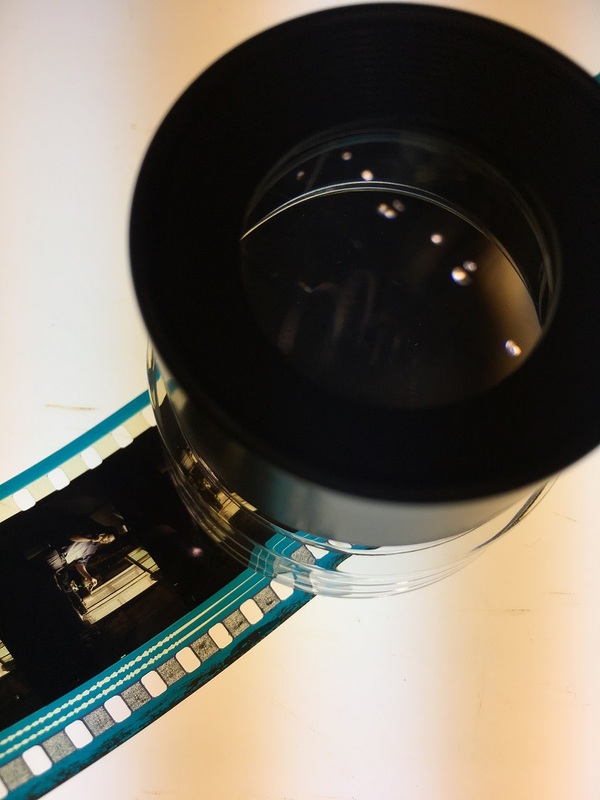 This was the most exciting and fulfilling part of my entire internship – just imagine breathing the same gelid air as the negatives strips of Eric Khoo’s Mee Pok Man (1995) or Glen Goei’s Forever Fever (1998). 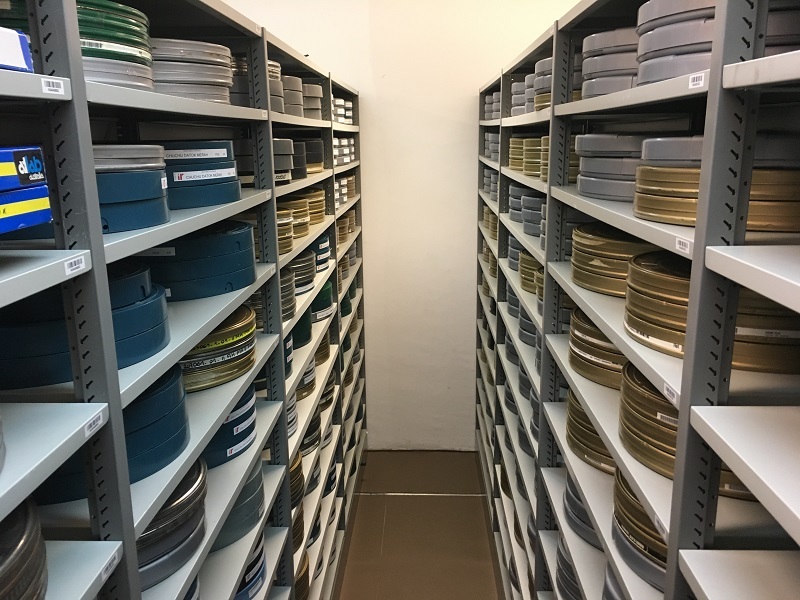 There is also a thrill of striding down rows of neatly stacked film canisters in the vault as they await further appreciation from a new band of audiences. While the work can get menial at times, there was always a sense of stoic purpose I found within. This is perhaps the urgency ticking away to rescue our audiovisual heritage before they have deteriorated beyond hope. Time is certainly not a luxury that archivists can enjoy. Preparing films for depository. Film in plastic covering is a definite no. I suppose part of the archivist’s instinct in preserving and cataloguing the past is the priority to make culturally precious audiovisual works available for the future. Perhaps sequentially, it is also the hope that these materials will be the subject of scholarly research to further advance human knowledge and understanding. After all, these images are rich in culture and traditions, telling us who we are and where we come from. I could liken films to that of DNA. It contains our genetic build up, consisting of historical, social, and cultural information. With the help of modern language, films allow us to accumulate precious information of what we have learned about ourselves as a race, building upon the collective memory that has the potential to outlast individuals. This dynamic and cumulative process becomes a form of knowledge production, which has the capability of institutionalising or even toppling dominant structures and rituals. Hence, archives are important in the writing of history as Terry Cook and Joan Schwartz would argue that archives and its records operate as “dynamic technologies of rule which actually create the histories and social realities they ostensibly only describe”. Without archives, the articulated voice of the past could be lost, leaving a huge proportion of social and cultural history to potentially vanish forever. Fortunately for us, modern technology has given us incredible capabilities to preserve films, such as state-of-the-art conservation technology that enable us to make high resolution scans, facilitating restoration and preservation. These technological developments have given films a new lease of life, enabling audiences to watch the films to as close a form as when they were originally shot. Restoration not only tries to do justice to the film and its makers, but it also allows greater appreciation from a newer generation of audiences. The high fidelity to the original film will for example, allow those of the Youtube generation to engage with it, breaking its wraith of belonging to a bygone era simply because of its deteriorated state. Personally, I could better appreciate Satyajit Ray’s Apu Trilogy thanks to The Criterion Collection’s restoration of the film in 2005. I was unable to sit through my initial encounter with Pather Panchali (1955) because of the poor image and sound from the VHS transfer version that we had to watch back in school. The restored version radically improved my viewing experience of Ray’s debut masterpiece. Watching it was simply incredible and overwhelming, to say the least. Archives are now digitally archiving to preserve films for posterity, for instance, utilising magnetic tape storage technology such as LTO (linear tape-open) to store uncompressed data. Manufacturers claim that if stored properly, these tapes have up to 50 years of shelf life, which isn’t as long lived as polyester celluloid film. Despite that, there is still a rapid embrace of digital storage since most, if not all, of the content is digitally produced today. Sized slightly larger than an inkjet cartridge, these LTO tapes are incredibly compact and boast enormous storage volumes, which help archives save physical space. This might sound like a great solution. However, digital storage comes with a separate set of problems. The biggest issue is that of obsolescence. In tandem to Moore’s Law-like evolution, new generations of LTO tapes are continually made available in the market, as improvements in capacity and read speeds are realised. With a newer version introduced, an older version becomes obsolete because LTO readers only have a maximum of two versions of backward compatibility. Hence, the cost of constant data migration and hardware replacement to ensure accessibility to the information is phenomenally high. Hence, finding the next best sustainable long-term solution to preserve digital born films is a challenge that remains a conundrum. Some archives are even returning to celluloid film, since it is a tried and tested medium that has proven to last for centuries if stored in optimal conditions. It might be an expensive route to take, but it may be worth it if we are able to save a generation’s worth of films that have significant aesthetic and cultural value. Films are a vital force of our time. Without preservation, the vibrancy and richness of our moving image records will be lost and forgotten forever. Hence it is crucial that societies have to collectively continue to invest and concentrate in preservation efforts, so as to build a future through the strengths of our pasts. Ensuring the accessibility and viability of our records is essential to the survival of our culture, the relevance of our memory institutions, and increasing research and learning.